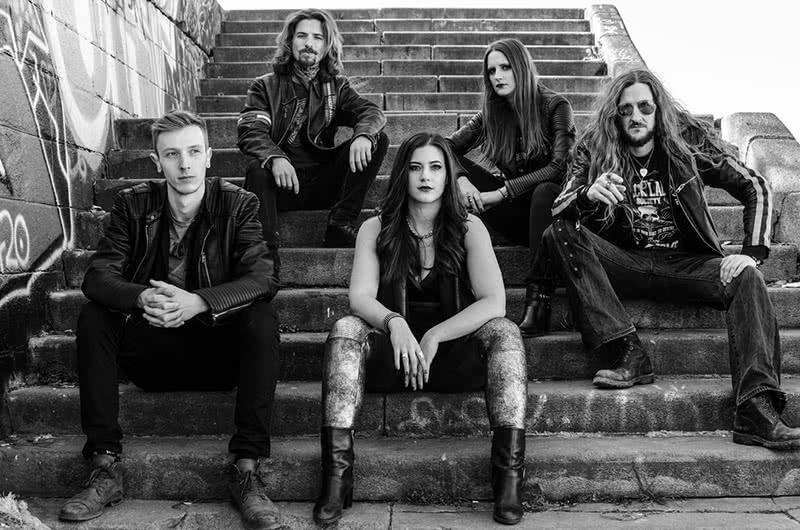 Five Austrian musicians devoted to one mission: Earthy and real hard rock made in Austria! Cil City – that’s authenticity, energy, and 100% live music. Whether you tune into our concerts or the new record Red Ocean, be prepared for a unique blend of a booming and powerful female lead voice, heavy guitar riffs, and raw beats. Cil City guarantees to rock the crowd at any hard rock party. What you hear is what we play: Cil City – Female Fronted Hard Rock at International Level! The powerful voice of Deniz Malatyali, the hard rocking groove and the raunchy riffs of the guitarists Hal West and Erny Hofbauer have fascinated hundreds of fans all over Austria. Cil City started as an AC/DC Tribute band, but the growing number of fans soon encouraged them to write their own music. Rock lovers will no longer have to wait for the next Cil City performance to indulge in their music. Their first album RED OCEAN is packed with excellent rock songs. The classic “One Hot Minute” is joined by thunderous songs like “Monstertruck” and “Red Ocean” as well as “Back Off” and contains everything hardrock dreams are made of. Anyone who has had the chance to see Cil City live understands that this band knows what rock really means. If you haven’t heard them yet, you are missing out!